While entering foreign countries, we also explored the market in the surrounding areas. Although just starting, but the market feedback is good, also indirect proof of our market forecast is correct. MPV accounts for a larger proportion in Hong Kong and Macau. Firstly, there are more people but narrow road and secondly the residents generally pay more attention to practicality. The MPV not only can provide the convenient travel for the whole family but also it can be used to deliver the goods. 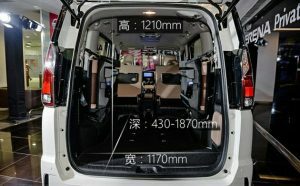 Toyota Serena is a cost-effective MPV and you can see this car model in HK and Macao everywhere. The electric tailgate lift provides a good convenience when your height is not enough and when you are loading & unloading. It seems that you can’t see an identical car in HK and Macao. 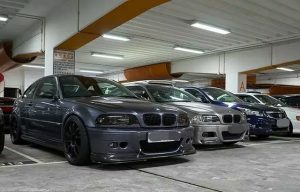 Hong Kong allows vehicles to be slightly modified, as long as it does not involve safety and environmental performance. This provides more space for individuals to develop. The power liftgate is just a minor change. After the big change, the hands free liftgate will become one of the first choices for practical modification. On the other hand, Hong Kong and Macao have a high cost of car maintenance due to less land, heavy taxes and high oil prices. Therefore, buying a car has become an improvement of the life and luxury consumption. The automatic liftgate is a symbol of the high-end car, and if it can be found to be suitable for the low configuration car, it is naturally popular. 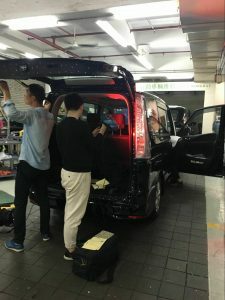 In March of 2018, With Toyota Serena as the entry point, we were trying to open the Macau electric tailgate lift market. 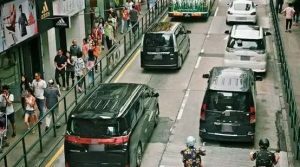 In July, with the new models developed, we rushed to Hong Kong and tested the products on multiple vehicles to ensure higher market compatibility. In less than two months, we went to Hong Kong and collected user feedback to further improve our products. Many times trips prove our emphasis on this emerging market. Good market feedback in the early stage gave us enough confidence, and then we will do our best!